A novel for children aged 9-12. 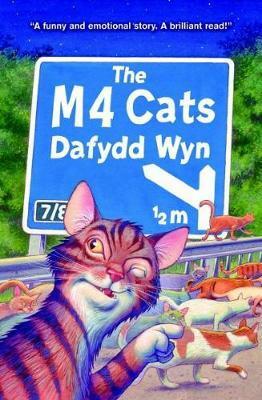 The London cats are fleeing along the M4 to find refuge in Tircoed in West Wales. they are escaping from the cat flu virus and unpleasant memories of Old Gap-tooth, a giant rat in the sewers beneath Trafalgar Square. Meanwhile, there is a power struggle among the Welsh cats, and their cockney visitors can expect a stormy reception. Can they survive the ambush on the bridge at dawn?